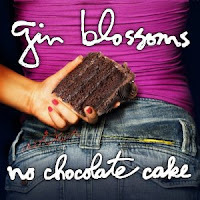 429 Records is quickly making a name for itself by signing 90s rock dinosaurs veterans like BoDeans, Tonic, and now Gin Blossoms. Look, I came of age musically in the late 80s and early 90s so this is stellar news to me. I remember the very first time I heard Hey Jealousy. Man, talk about perfect Too Poppy music. Now all I need to do is wait until No Chocolate Cake is released on September 28. Learn more and preview the tunes here. Pre-order here. Reminisce here.